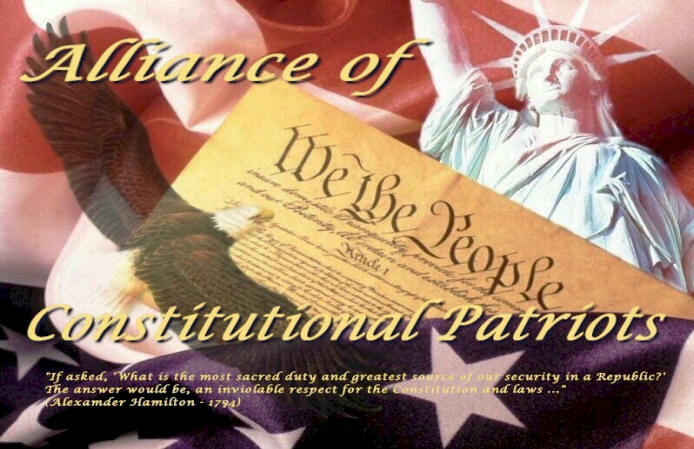 "The mission of the Alliance of Constitutional Patriots is to restore our Constitutional Republic by electing patriots who believe in, and will follow, the US Constitution as written." 1. To expose and remove from office any and all elected and appointed officials who do not follow the US Constitution at every level of government. 2. To educate the public on the value of a Constitutional Republic. 3. To provide communication links that will enable the people to obtain the necessary information to regain control of the government. In our continuing effort to return the US to the Constitutional Republic we believe one of the essentials is to minimize the impact of professional politicians. To that end, we have sent each candidate who has registered in Texas for the US House and Senate primary elections a copy of the pledge (below) for their consideration. We have asked that the pledge, signed or un-signed, be returned to us NLT March 14, 2012. We have published the results here and will provide them to local patriotic organizations and media outlets. We will re-publish the data just prior to the November election for those candidates who win the primaries. We encourage you to check these results and see if those running in your congressional district and for the senate signed the pledge. "I pledge to actively support the concept of limiting the terms in office of Members of Congress through an amendment to the US Constitution. If another Member of Congress introduces said amendment, I will support the effort and vote FOR it. If no other Member of Congress introduces this amendment in the first year of the next session of Congress, I pledge to do so myself on the first day of the year in the second session of Congress (January 2014)." "Patriots are not revolutionaries trying to overthrow the government of the United States. Patriots are counter-revolutionaries trying to prevent the government from overthrowing the Constitution." On the National Center for Constitutional Studies website, www.nccs.net/constitution , the Constitution U.S.I.Q. Game may be found which has been a source of learning, instruction, and fun for many citizens. The game can be played anywhere there is the internet or even printed out in advance if no internet is available. 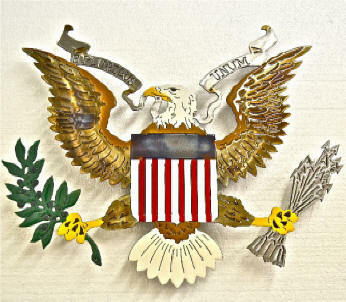 The game consists of over 800 questions taken mostly from a study of The Making of America textbook. We will be adding more and more to this site in the future! Look for interesting and helpful links to other "like-minded" sites.